Batch file for backup of the _mods folder in Spintires Mudrunner – Editor. saves to disk D in the folder Backup_mods (creates the folder itself) after re-backup, the old one deletes. 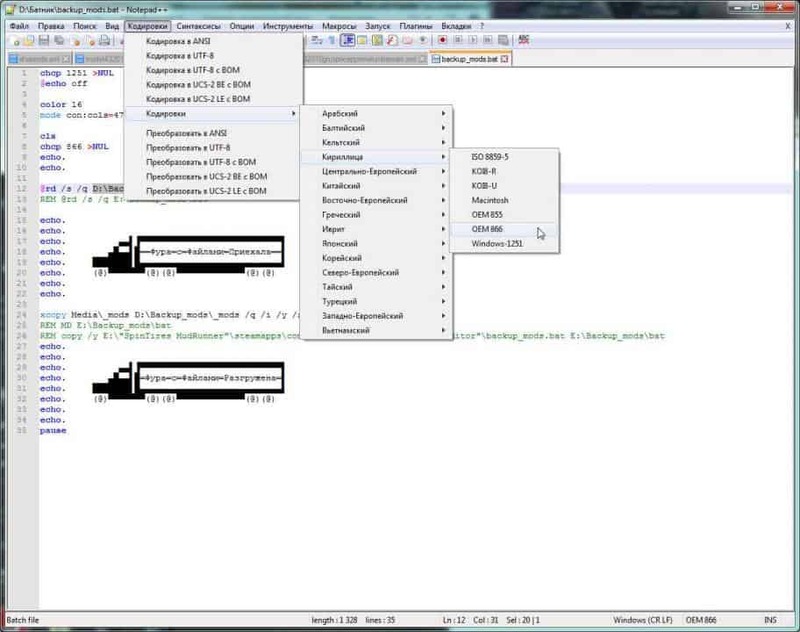 Put the batch file in the root of the editor ……………….. \ steamapps \ common \ Spintires Mudrunner – Editor. In Batnik, change the encoding to oem866 (picture 2).